On occasion I feel like things get too complicated around here: recipes with too many steps, too many ingredients, etc. 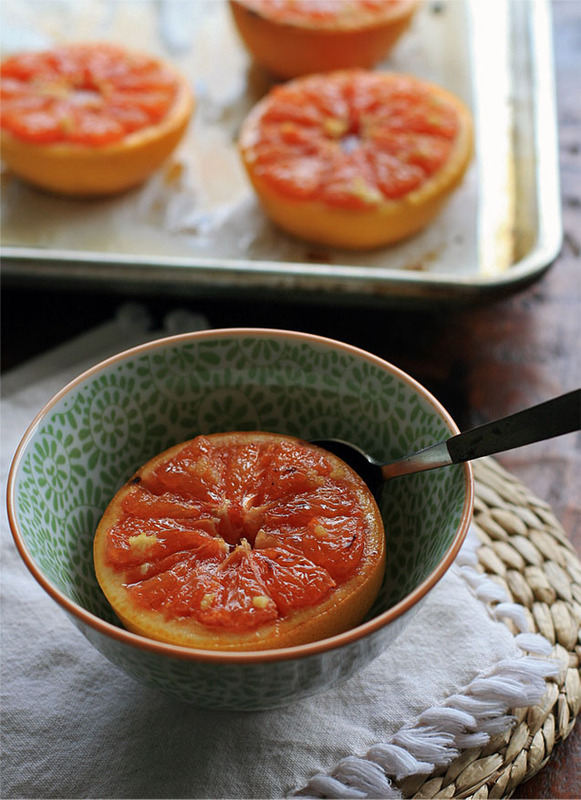 So I’m bringing simple back, with a simple broiled grapefruit with the zing of fresh ginger and brown sugar for extra sweetness. 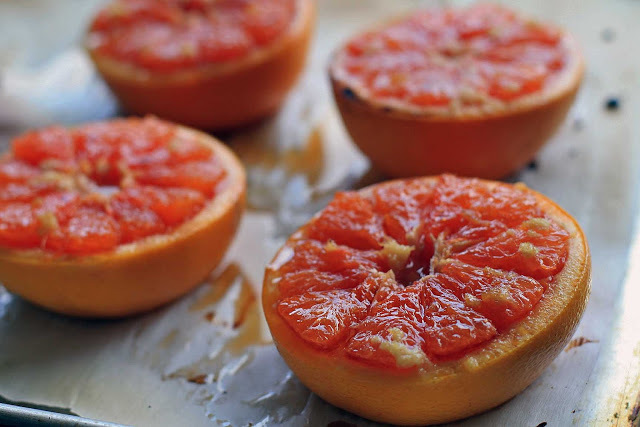 The broiling has the surprising effect of making the grapefruit even juicier and the brown sugar turns into a delightfully sweet syrup that seeps into each and every grapefruit segment. 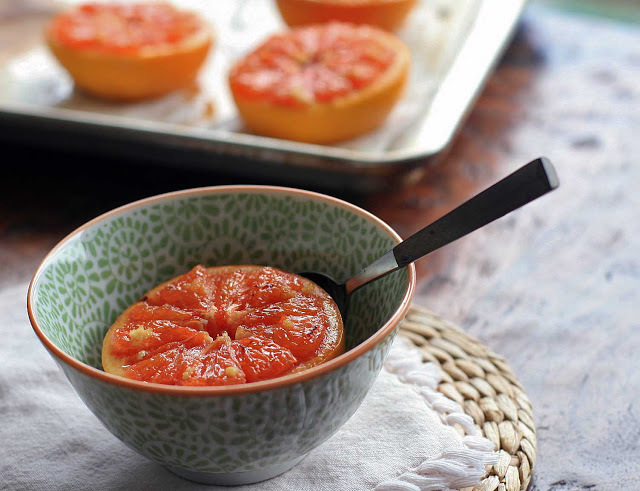 It’s a fun twist to an otherwise simple breakfast. My favorite part? The leftover puddle of sweetened ginger grapefruit juice. I think I know exactly what to make when my juicer finally arrives. 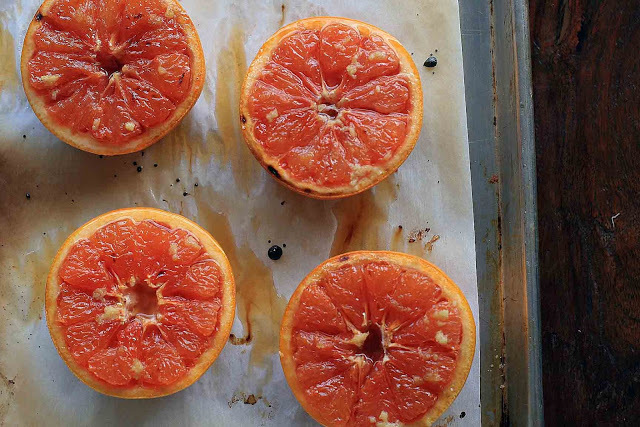 Preheat your broiler and line a rimmed baking sheet with parchment paper for easy cleanup. 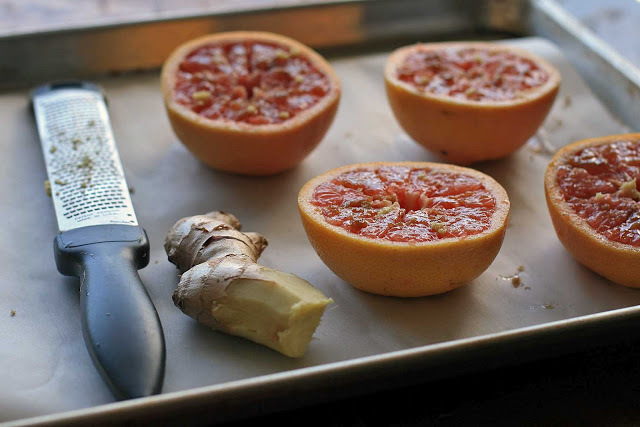 Place the grapefruit halves on the parchment paper and sprinkle with brown sugar. 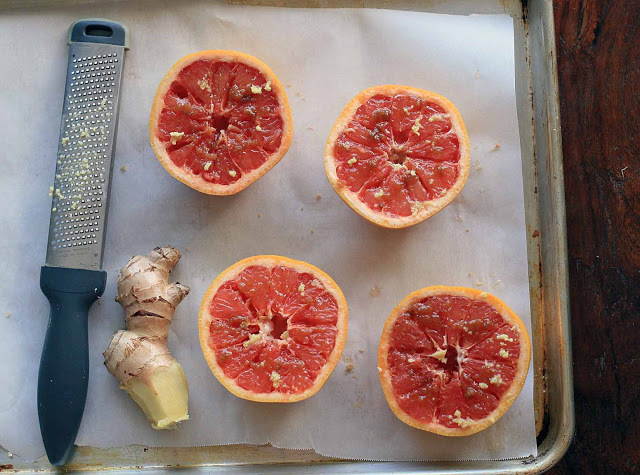 Use a Microplane zester to grate the ginger on top of the grapefruits. Place in the oven and broil until the sugar has melted into a nice syrup and the tops are just beginning to brown. Remove from oven. Serve warm or let cool to room temperature.